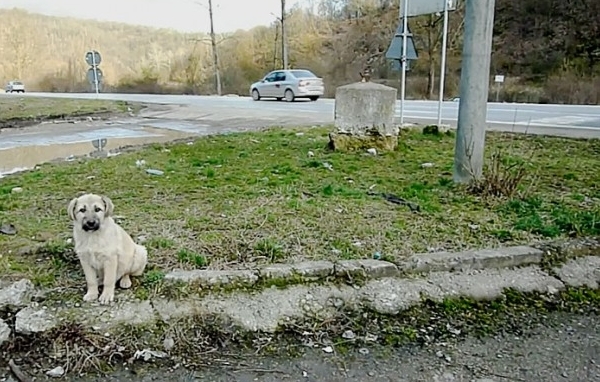 A tiny stray puppy was walking disoriented on the side of a busy road in Romania. Luckily, a group of rescuers from Howl Of A Dog saw him. They took the 6-month-old pup to the vet as he was all covered in fleas and ticks. He also had demodectic mange. 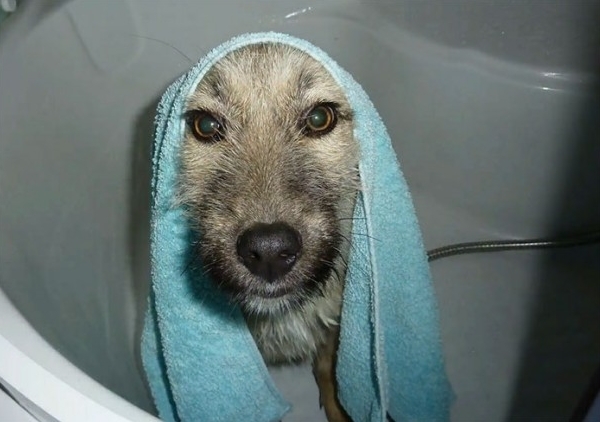 Treated with medication, special baths and lots of much needed love, the puppy, named Fram, soon got better. And the best part? Only a few days after the rescue group posted his story online, he found his well deserved forever home in the UK! Fram is a fluffy bundle of joy, very smart, obedient, cuddly, playful and friendly with other dogs and also with cats. He is about 6 months old and weights now 10 kg (22 lbs) - as an adult he will be a medium/large sized dog. 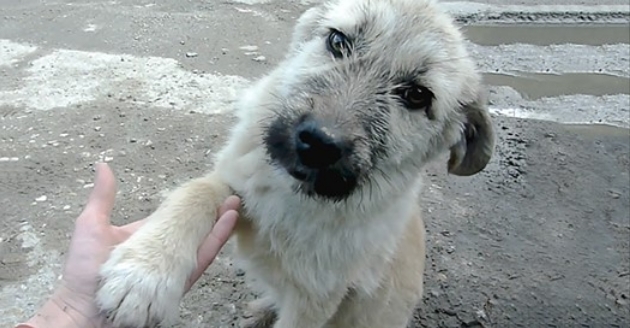 Responses to "Grateful Stray Puppy Shakes Rescuer’s Hand When He’s Saved From A Busy Street"